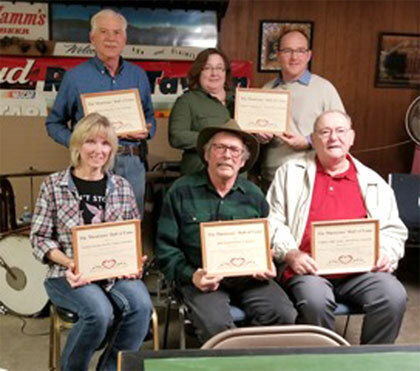 Five Nebraska musicians were inducted into the Musicians Hall of Fame during the 19th annual ceremony and accordion jamboree held at Ron’s Tavern in Milligan, on January 20. Throughout the afternoon musicians entertained a large audience with traditional Czech polkas and waltzes. Those honored for their dedication to the preservation of Czech music were Bill Andel, David City; Bob Zbylut, Omaha; and Joanne Zelenka Hawley, Tobias. Honored posthumously were Tom Kuzelka, Crete; and Joseph Yindrick, Sr., David City. 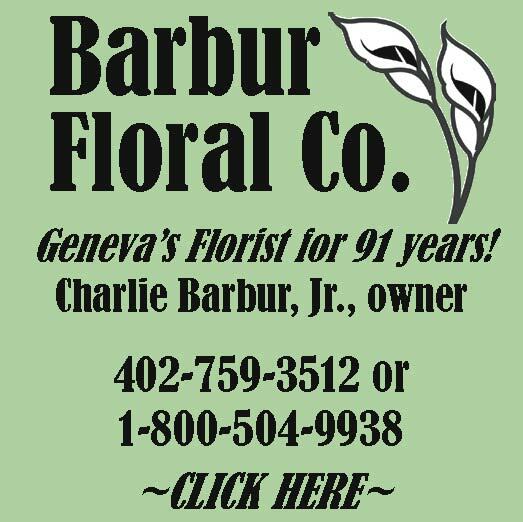 All honorees are of Czech and Polish descent and have made significant contributions in preserving Czech musical traditions in Nebraska and the Midwest throughout their lives. Bill Andel started his musical career in 1960. The 60’s and 70’s were very busy times for polka bands, however, Andel was able to hold a full time job and raise a family of four sons with his wife Donna. Andel played saxophone and clarinet with many groups, some which include Bud Comte, Allen Valish, Mark Vyhlidal, The Czechlanders, Ernie Kucera and Mike Brecka. Andel was a vocalist with many of these groups. Andel is a charter member of the American Czech Brass Band which was formed in the mid 1970’s as an 18 piece brass band. Andel and Joseph Yindrick Sr. were vocalists for the brass band. The two performed many comedy skits with the brass band entertaining audience members by costuming themselves and presenting their sketches using both English and Czech. Their comedic acts were enjoyed by many. When Bob Palensky, founder and leader of the American Czech Brass Band, died in 1998 Andel stepped up to run and lead the group. Andel was inducted into the Omaha Sokol Polka Hall of Fame in 2006. In more recent years Andel has continued his involvement in music by playing button accordion with his own group The Bill Andel Trio. Bob Zbylut grew up in a family of musicians. His parents and grandparents all played some instrument. Zbylut at the age of six could be found practicing on his drums in the garage. He first played drums while a grade school boy for his uncle Milt Jaworski and the Polonairs. Zbylut has also played with the Jim Hovorka Band, Eddie Janak Band, Frank Remar and his Polka Knights, Don Hamsa Orchestra, Peter and Paul Wendinger (New Ulm, Minn), Frank Kostka and The Boys, and Lou Hospodka’s Little Tavern Band. Zbylut credits Frank Kostka and The Boys as his favorite group. Zbylut recorded with this group. He recalled when the group played a tour in Ohio and they received a 15 minute standing ovation by the audience. Zbylut was drafted into the U.S. Army during the Vietnam Conflict in January, 1970. Zbylut served mostly in Vietnam and Germany. In Vietnam Zbylut was a door gunner on an HU 1 Huey helicopter. Later he managed a print shop for the Army in Germany. He returned to civilian life in June 1973. Joanne Zelenka Hawley started taking accordion lessons at the age of nine. Her instructor was Bob Napolsky from the Kenneth Thomsen Accordion Studio in Lincoln. Hawley continued piano accordion lessons until the age of 14 when she became interested in learning how to play the button accordion. Hawley noted how local accordionists, Adolf Vacek, Leonard Becwar, Johnny Halama, Ron and Del Korbelik played and soon developed her own style. At the age of 21 Hawley began playing button accordion with the Jim Slezak Polka Band. Hawley also played tenor sax with the Milligan Legion Czech Brass Band and the Leonard Becwar Orchestra. Hawley recalled a memorable trip to the Czech Republic, former Czechoslovakia, with the Becwar band. Hawley has also been a vocalist with the Lou Arnold Band and played bass guitar with the Bob O’Neil Band. Most recently Hawley purchased a Czech bagpipe, a dudy, and has played with the Southeast Nebraska Bohemian Bagpipe Band at several local Czech festivals. Hawley is a retired member of the Nebraska National Guard and served in the U.S.
Honored posthumously for their contributions to the preservation of Czech music were Joseph J. Yindrick, Sr., David City and Tom Kuzelka, Crete. Joseph J. Yindrick was born in 1941 on a farm east of David City. With his five sisters he carried on the Czech musical heritage singing at church, festivals and weddings in the area. At the age of 15, Yindrick was encouraged by the priest at Marietta school to play the tuba. Bud Comte noticed Yindrick’s ability on the tuba and soon Yindrick was playing bass with Comte’s band. Yindrick continued his role as bass player for the Comte group for 30 years. Some of the other groups Yindrick played with were Ernie Kucera, Mike Brecka, The Bill Andel Trio, Country with a Touch of Brass, Lonnie Pitz and the Dean Hansen Band. Yindrick’s years with the American Czech Brass Band were his favorite. Yindrick and his lifelong friend Bill Andel were a popular duo with the band. Yindrick and Andel not only vocalized together but performed comedic routines and skits. They incorporated popular songs and characters into their acts. Their wives created their costumes which they wore for their skits. Many acts included the duo speaking in both the Czech and English languages. Yindrick served in the U.S. Army and was stationed in Germany and Massachusetts. Yindrick died in 2015. He had retired from the American Czech Brass Band several years earlier but was still active playing polkas and singing. He is survived by his wife Elizabeth, daughters Michele Sabine, Nicole Sylvester, and sons Joseph Jr., William and Eric Yindrick. Thomas J. Kuzelka was born on a small farm near DeWitt. When Kuzelka was five, his father was accidentally killed at the Nebraska State Fair and the family moved to live with an uncle near Wilber. In 1925 Kuzelka graduated from Wilber High School. Kuzelka was an accomplished piano player. He sang and accompanied church choirs for more than 50 years at Sacred Heart Church in Crete. Kuzelka played the button accordion and was a bandleader in southeast Nebraska for 11 years. He played in every accordion jam at the Wilber Czech Festival until his final year of life. Kuzelka organized a ‘kitchen” band with Jan and Bob Zoubek to fill the need for entertainment among senior citizens. They played at rest homes, hospitals and centennial celebrations. Kuzelka spoke Czech fluently and enjoyed singing as they played. Kuzelka was an agricultural statistician. He wrote many articles for publication. Kuzelka was noted for a radio presentation about U.S. agriculture on the Voice of America Broadcast beamed over the British Broadcasting Corp. in 1952. Kuzelka’s message was delivered in the Czech language. At the time of Kuzelka’s death in 1999, he and his wife Thusnelda Welsch Kuzelka had celebrated their 64th wedding anniversary. The Musicians Hall of Fame was created in 1999 to recognize the talents of the many local Czech-American musicians for their efforts in promoting and preserving the Czech heritage. The Musicians Hall of Fame recognizes those individuals who may not achieve regional or national recognition for their conscientious contributions to Czech music and culture. The annual announcement of inductees is made at a winter accordion jamboree held the third Saturday of January at Ron’s Tavern in Milligan. A permanent plaque featuring the engraved names of the inductees is located at Ron’s. Contact committee members Delores Becwar, Crete, 402-366-5078; Randy Korbelik, Lincoln, 402-416-1300; Debra Polacek, Harvard, 402-772-3451, or Sue Placek, Swanton, 402-641-0669 to nominate musicians for the 2019 Musicians Hall of Fame inductions. Selections are made in the fall.